You couldn’t stay in one environment, and the forced transition to go from desktop to modern, and modern to desktop, sucked. Especially as each mode had its own unique way of navigation. If you used the keyboard and mouse, modern mode offered little to no value; that meant modern apps weren’t used. Developers were unhappy their efforts were unrewarded, and users effectively didn’t have new apps to try. Unfortunately, the majority of PC users rely on keyboard and mouse, so the innovations Windows 8 brought were rarely experienced. Only the inconveniences — missing start button, weird corner navigation, no new apps that were worthy, etc. — were felt, and the live tile start screen became the symbol of all that went wrong. The reason why I’m optimistic for Windows 10 and don’t consider it a step back is because Microsoft is finally fixing those two problems. 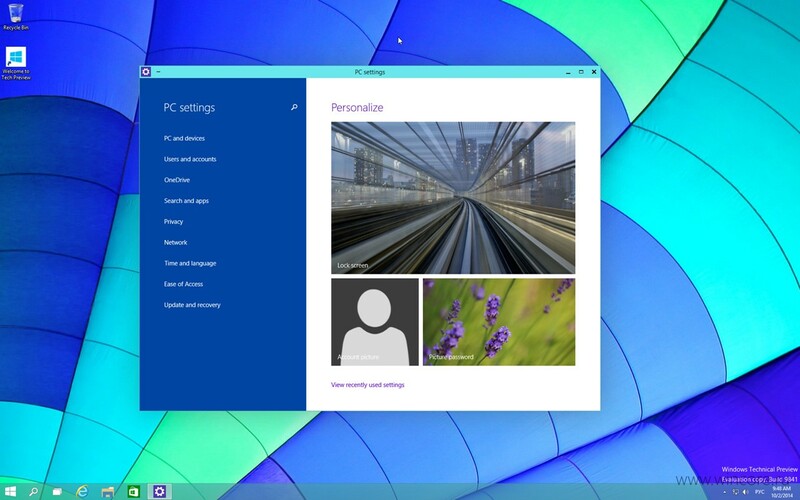 Because modern apps can now be used in desktop mode in the traditional windows interface, desktop users can stay there no matter what apps they use. It’s an environment well suited for keyboard and mouse. The result of Windows 10 is that the modern mode will only be used by tablet users — and that’s OK, that’s what it was designed for. Continuum will ensure devices that can jump back and forth between these two worlds will be able to do so even more easily, and the interface will adapt to the method of input that suits it best.